Join us for a discussion with Glen Hillier about the exciting solar cell technology he is developing at MicroLink Devices. His company is a materials R&D and semiconductor production business based in Niles IL, a north-west suburb of Chicago. 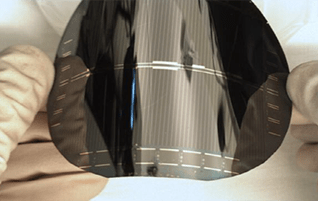 The company is currently focused on their Epitaxial Lift-Off (ELO) Inverted Meta-Morphic (IMM) solar cells. These flexible high-efficiency and high-specific-power solar cells are currently being deployed on Airbus Defense’s Zephyr High Altitude Pseudo Satellite (HAPS) aircraft. In addition to company and technology information, Glen Hillier will discuss the advantages of ELO IMM solar cells for cubesat applications. Glen Hillier has been Manager of Design and Development at MicroLink Devices for the last 13 years. Before that, he worked for Nortel Networks and Bell Northern Research in Ottawa Ontario for 19 years. He was instrumental in the development of the hetero-bipolar transistor (HBT), a compound semiconductor device for cell phones and high speed electronics, and ELO IMM solar cells. He has over 30 years of technical and management experience in Metal-Organic Chemical Vapor Deposition (MOCVD). He holds several patents ranging from MOCVD susceptor design to high specific power solar cells. Glen received an honors BSc in Physics from the University of Waterloo, Ontario, Canada in 1985. At the turn of the millennia, he was also part owner of a now defunct hybrid rocket motor company based in Smiths Falls Ontario called Propulsion Polymers.